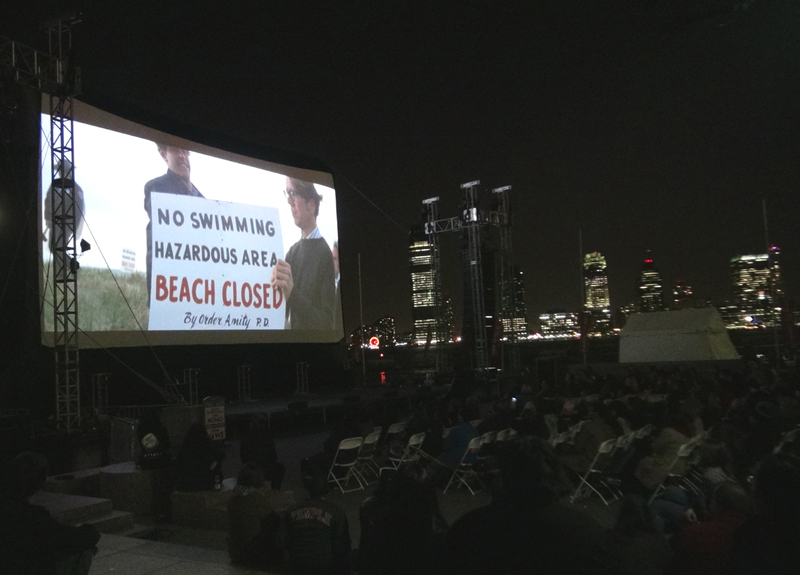 (CBS News) NEW YORK - A newly-restored Steven Spielberg classic played out, appropriately, under darkened skies along the city's waterfront last night, at a Tribeca Film Festival screening of "Jaws." The 1975 Academy Award-winning film, one of the all-time box office champions, has been digitally restored as part of Universal Studios' 100th anniversary celebration. In advance of its August 14 release on Blu Ray, the thriller about a killer shark terrorizing a beachfront community was screened for hundreds of appreciative viewers at the Tribeca Film Festival, as part of its "Drive-In" series. To view a video snapshot of last night's screening click on the video player above.